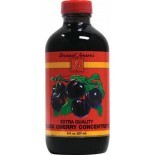 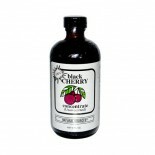 Attributes: Fat Free, Kosher, Low Salt / Low Sodium / Reduced Sodium, Natural or Organic IngredientsIngredients: Organic Montmorency Cherry Juice Concentrate Nutritions: Calcium(2), Calories(110), Cholesterol(0), Dietaryfiber(0), Fromfat(0), Iron(5), Protein(1), Saturatedfat(0), Servingscontaine.. 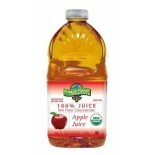 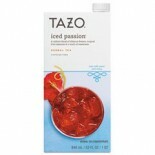 Attributes: Natural or Organic IngredientsIngredients: 100% organic apple juice pressed from whole fresh organic apples. 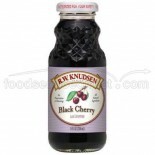 Nutritions: Calcium(0), Calories(120), Cholesterol(0), Dietaryfiber(0), Fromfat(0), Iron(0), Protein(0), Saturatedfat(0), Servingscontainer(8), Servingsize(8 fl oz), Sodium(15), S.. 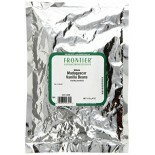 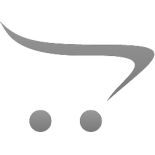 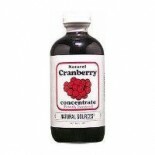 Attributes: Kosher, Natural or Organic IngredientsIngredients: Filtered water, organic lemon juice concentrate, organic evaporated cane juice, organic lemon juice, organic lemon flavor and organic lemon oil.Nutritions: Calcium(0), Calories(110), Cholesterol(0), Dietaryfiber(0), Fromfat(0), Iron(0), .. 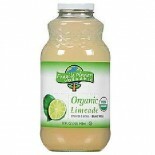 Attributes: Kosher, Natural or Organic IngredientsIngredients: Filtered water, organic fruit juices (lime and lemon) from concentrate (filtered water and organic juice concentrates), organic evaporated cane juice, organic lime flavor and organic lemon oil.Nutritions: Calcium(0), Calories(100), Chole.. 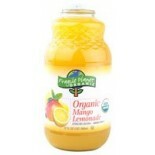 Attributes: Kosher, Natural or Organic IngredientsIngredients: Filtered water, organic mango puree concentrate, organic evaporated cane juice, organic lemon juice concentrate, organic mango flavor, organic lemon flavor and beta carotene (Pro Vitamin A).Nutritions: Calcium(0), Calories(100), Choleste.. 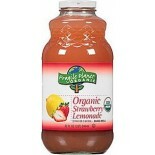 Attributes: Kosher, Natural or Organic IngredientsIngredients: Filtered water, organic strawberry puree, organic evaporated cane juice, organic lemon juice concentrate, organic strawberry flavor, organic lemon flavor and organic lemon oil.Nutritions: Calcium(0), Calories(90), Cholesterol(0), Dietary.. 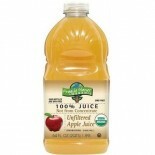 Attributes: Natural or Organic IngredientsIngredients: Organic unfiltered apple juice pressed from whole fresh organic apples, ascorbic acid (to maintain color).Nutritions: Calcium(0), Calories(120), Cholesterol(0), Dietaryfiber(0), Fromfat(0), Iron(0), Protein(0), Saturatedfat(0), Servingscontainer.. 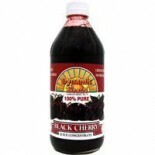 Attributes: Kosher, Natural or Organic Ingredients, Non-GMO Project VerifiedIngredients: Black cherry juice concentrate.Nutritions: Calcium(2), Calories(130), Cholesterol(N/A), Dietaryfiber(N/A), Fromfat(0), Iron(6), Protein(0), Saturatedfat(N/A), Servingscontainer(N/A), Servingsize(8 oz), Sodium(15.. 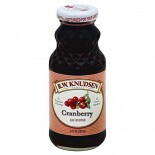 Attributes: Kosher, Natural or Organic Ingredients, Non-GMO Project VerifiedIngredients: Cranberry juice concentrate.Nutritions: Calcium(0), Calories(70), Cholesterol(N/A), Dietaryfiber(N/A), Fromfat(0), Iron(15), Protein(0), Saturatedfat(N/A), Servingscontainer(N/A), Servingsize(8 oz), Sodium(15), .. 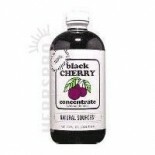 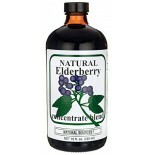 Attributes: Kosher, Low Salt / Low Sodium / Reduced Sodium, Natural or Organic IngredientsIngredients: AN INFUSION OF (WATER, hibiscus flowers, natural tropical flavors, citric acid, licorice root, orange peel, cinnamon, rose hips, lemongrass, fruit juice extract [color]), CANE SUGAR, NATURAL FLAVOR.. 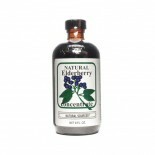 Attributes: Kosher, Low Salt / Low Sodium / Reduced Sodium, Natural or Organic IngredientsIngredients: AN INFUSION OF (WATER, GREEN TEA, LEMON VERBENA, SPEARMINT LEAVES, LEMONGRASS, NATURAL FLAVOR), CANE SUGAR, PEACH JUICE CONCENTRATE, GINGER JUICE, APPLE JUICE CONCENTRATE, NATURAL FLAVORs, CITRIC A..